Just announced! 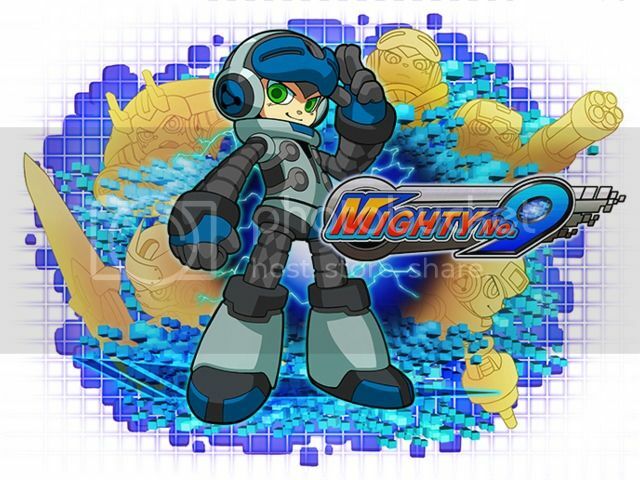 Keiji Inafune is giving Capcom the blue middle finger and creating a new version of Megaman to dodge the loss of his character. 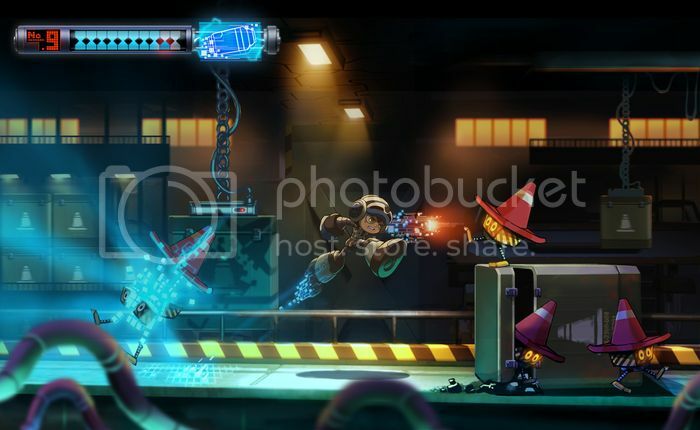 The new cyborg boy sidescrolling game is called Mighty No. 9. Here's the Kickstarter page, they're asking for $900,000. They've gathered $26,000 in the time it's taken me to decide to make this thread. I'll post the KS video once it's on youtube. They're targeting a 2015 release, seemingly at a $20 price point. As has become pretty standard for KS games now, they're saying it'll be a PC release with stretch goals to reach other platforms. Thanks to ClockworkHouse for correcting me on this. For the record, I was hoping this'd be more akin to Megaman Legends 3. I would have bought it for that. My Target still has it at $20. I did buy it for that, Friday evening. I've defeated all the Robot Masters and am on what I think is the last stage. So, I must have enjoyed it somewhat. Unplayable nature of game was exaggerated, but boy are boss battles uneven in difficulty, not being able to collect E Tanks stinks (recharges disappear upon death) and there was one level where stuttering is so bad that it was almost game breaking. I have gotten my Mighty No. 9 Dollars worth. For reference, they also had a Penguins of Madagascar uDraw game for Wii priced at $30. "We were fortunate enough to blow away our initial stretch goals, by many times over, but as that funding increases you have to add new goals to increase funding - if people don't see those goals in sight, they won't bother, so you keep adding on them and adding on them and adding on them. What the final project ended up being, the final Kickstarter with all the stretch goals, it was so much more than we initially imagined when we took on the project. "You add all those extra things, even with all the money that we generated, and it's still not enough. We were looking at the scope of what was expected for the project, and the amount of funds that we have, it just didn't add up. How do you fix that? You work in a smaller timeframe with less people, and as you can imagine that can create a lot of problems and complications throughout the development. Those were particularly challenging over the course of development." "It's impossible to say for sure, but that's a very real possibility that you hit that sweet spot - your initial goal, somewhere around there, there's a very real chance that without all those extra stretch goals we could have made a better project. We were Kickstarter beginners - it was almost five years ago now - and Kickstarter was very new to all of us. I think one of the biggest thing we didn't realise at the time is just how much of that money - even when it's a big fancy number - how much of it disappears before you even see it, in terms of Kickstarter fees, backer rewards, all kinds of handling this and doing all that. You can easily take half of that figure, it's gone before you even get started. If we ever had to do a Kickstarter again, we'd be much more prepared." None of this should be too revelatory to anyone who's followed Kickstarted projects closely over the years. Stretch goals and backer rewards are dangerous to the scope and budget of a project. And the amount of money a project actually receives after fees/taxes is never anywhere close to what you'd expect.